The Security Fee is set by the owner, in number amount. 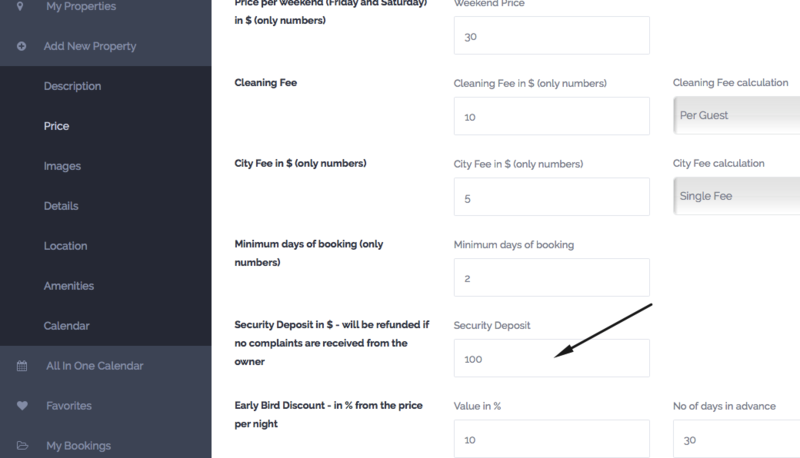 When booking request is sent, the Security Deposit Fee value is added to booking total. Now we have different scenarios possible, but only some make sense with this option. In this case, money go to Admin account. They stay there. To use Payment management add-on to send back the security fee to renter after booking ends, it’s important money are sent through PayPal. 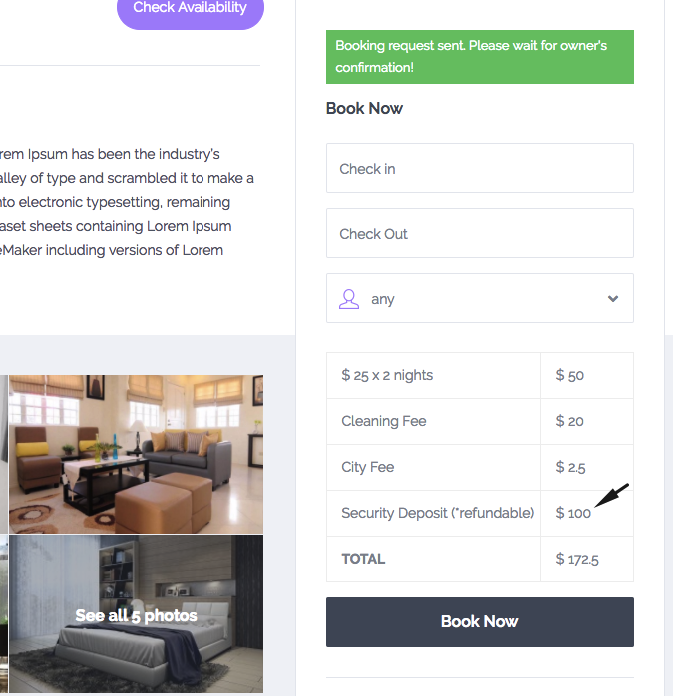 The renter will be asked to pay the deposit for booking to be confirmed, and that will include a part of the security fee (depends on how deposit is set in admin). 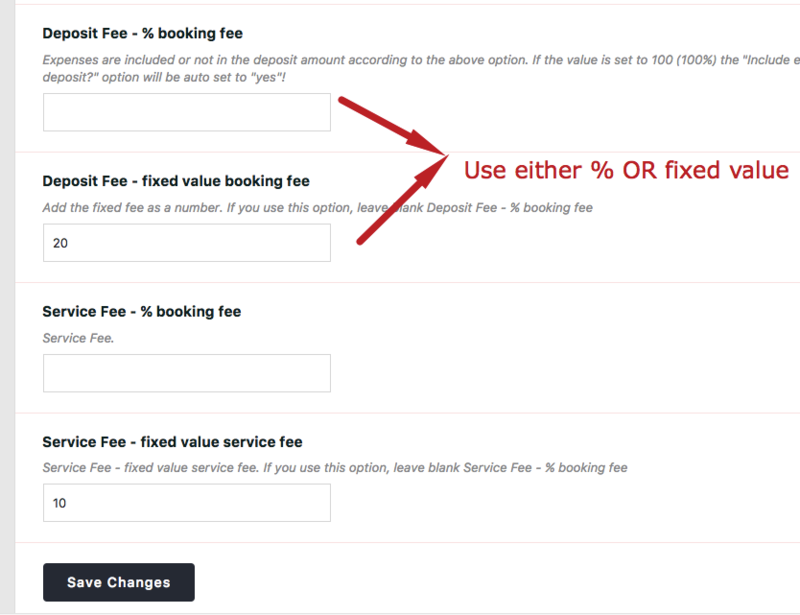 Deposit calculates based on total booking fee. 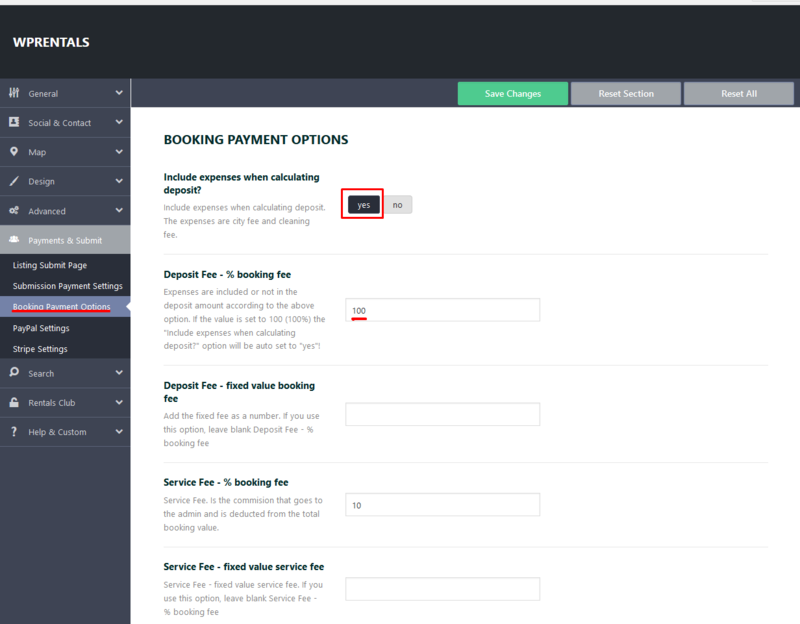 To get full security fee from renter it means he has to pay the difference of the total invoice through the site (there is a reminder going to renter and owner can send that reminder manually 3 times, but that’s all). Please keep in mind that the booking still goes through unless owner cancels it manually. How to return the Security Deposit Fee to the renter. The Security Deposit fee is part of the booking deposit and goes to Admin Account. To be able to return the security fee back to the user through a payment system, Admin must connect the Wp Rentals installation to Rentals Club and return deposit through Payment Management – PayPal adaptive payments. Please consider Rentals Club is a 3rd party add-on, free now in Beta version, but may become paid in the future. In this case, payments must be collected only through PayPal. The button that allows returning deposit would show in Rentals Club, like this.